I had a briefing with Igneous earlier this month. Who’s Igneous? Igneous is focused on providing “as-a-service” solutions for unstructured data, including storage, backup & archival, global metadata indexing, and data workflow management. 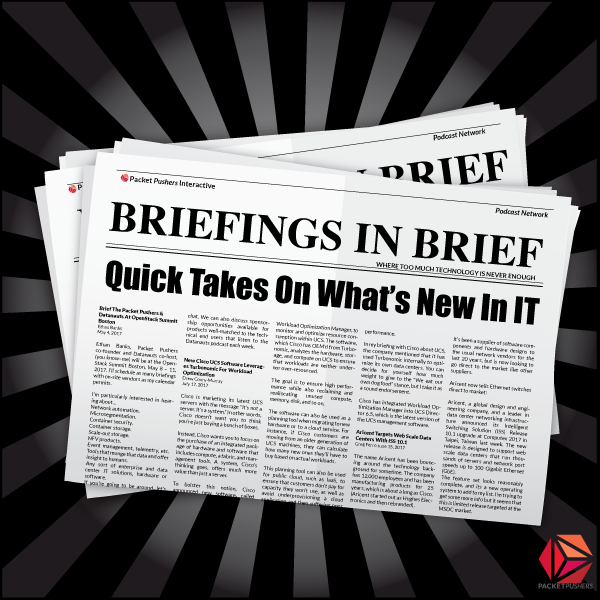 In this briefing, Igneous discussed recent announcements around their DataProtect, DataDiscover, and DataFlow services. Before we get to that, what is unstructured data? Unstructured data is, more or less, data that’s not in a highly structured form such what you’d find in a relational database. That doesn’t mean unstructured data doesn’t have any structure at all, but rather that the structure is not in a row/column format that lends itself well to carefully constructed queries. You know, like what SQL (structured query language) is all about. It’s the lack of nicely “queryable” structure that makes the unstructured data problem an interesting one to solve, as most data found at organizations is, in fact, unstructured. This is true even for big data shops, where high performance computing clusters run Hadoop and similar tools against massive unstructured datasets. In this unstructured data context, you find Igneous solving problems for companies. Let’s walk through the products they discussed with me in this briefing. First, DataProtect. DataProtect isn’t completely new, as it is the culmination of Igneous’ archive and backup offerings. The tool does what you’d expect. It’s about protecting your data in the form of backups, archival, and tiering of data to any public cloud, all delivered “as-a-service” meaning that Igneous is taking care of the DataProtect platform itself for you remotely. Second, DataDiscover. DataDiscover is about figuring out what’s interesting about your vast swaths of unstructured data by indexing all of the metadata that describes it. This service, by itself, is not about data movement or storage of the data. As the name suggests, DataDiscover wants to help you know what data you’ve got. Perhaps some of your data is old. Maybe there’s a huge volume of datasets, in which case DataDiscover helps you operate at scale. DataDiscover helps data managers understand what’s going in their data repositories and answer questions. Such as…is there data that should be archived? Where are the biggest files? Which files are the oldest? Etc. Third, DataFlow. DataFlow is about enabling end user workflows–making the lives of data consumers easier. In other words, this is less about IT folks who are storage professionals, and more about those who use the massive piles of data filling up all the storage volumes. The workflows around datasets tend to follow a lifecycle of capturing, processing, and analyzing data. Let’s give a simple high performance computing example. Imagine that, first, data is created by software. Then, the data is moved into an HPC cluster. The cluster runs software to process the data, generating more data in the form of results. That “results” dataset is copied to a directory for final analysis. Igneous DataFlow helps workflows around processes such as our little HPC example to be accomplished via APIs. The Igneous customer success team will work with the end user to make sure that metadata tagging, Python code, API calls, and overall workflow are functioning as well as possible. Again, remember that the DataFlow product is about the end user perspective. Igneous offered Paige.AI, a cancer research company, as a customer example for DataFlow. Paige.AI ingests TIFFs. Metadata attached to the TIFFs describes the image. Igneous DataFlow can move data to the appropriate storage tiers based on tags found in the metadata. If unstructured data management as a service might be interesting to your company, you can ping Igneous at igneous.io.